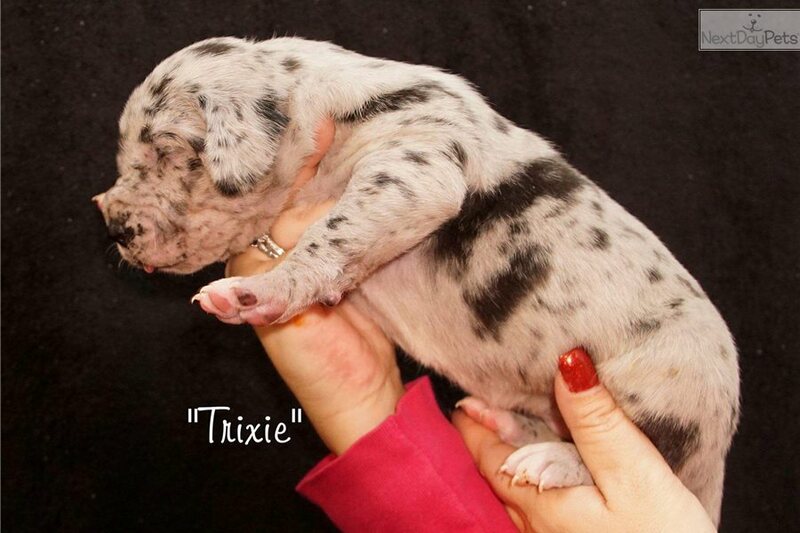 This Great Dane nicknamed Trixie sold and went to a new family. This Blue Merle female is 85% European, born December 13, 2017. Dam is Chocolate, Sire is Lilac Merle Mantle. Non-refundable Holding/Reserve fees of $500 are now being accepted. AKC Full Registration will be going to approved homes only. 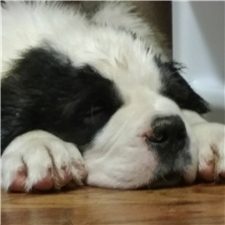 All pups will have full de worming regimen, UTD on vaccines, AKC registration, gorgeous pedigree with Chocolate, Lilac, Fawn, Blue and TanPoint Carriers in pedigree as well. These pups will be extremely well socialized and will be coming with a puppy starter pack (recommended toys, food for transition, collar & leash, and all vet records). The pups will come with a health guarantee and a strict return and spay/neuter contract.